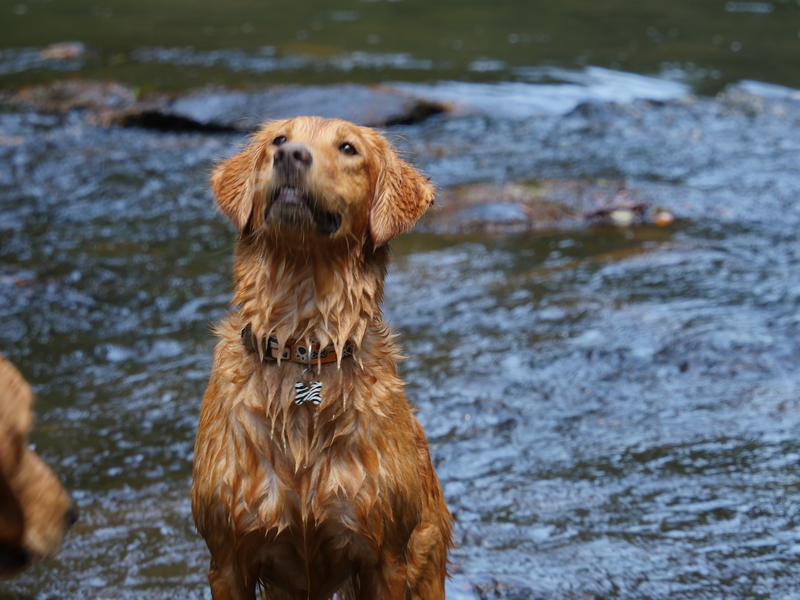 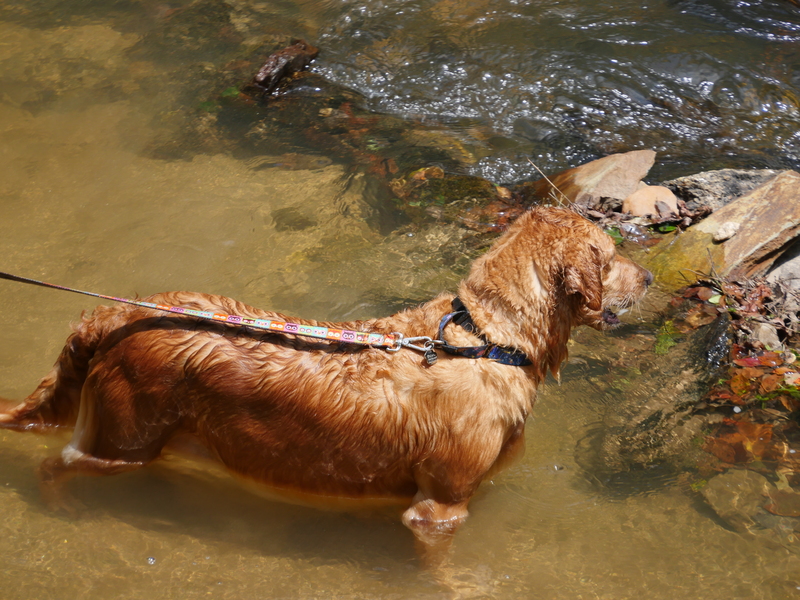 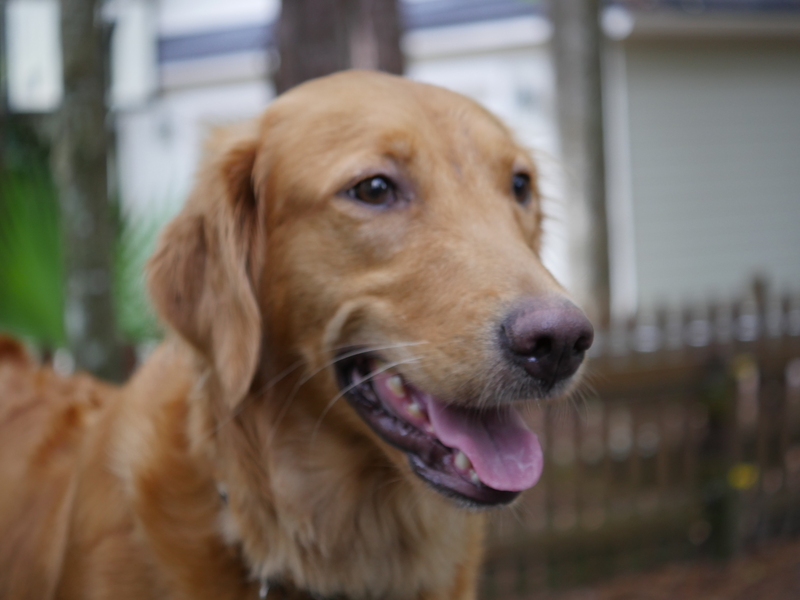 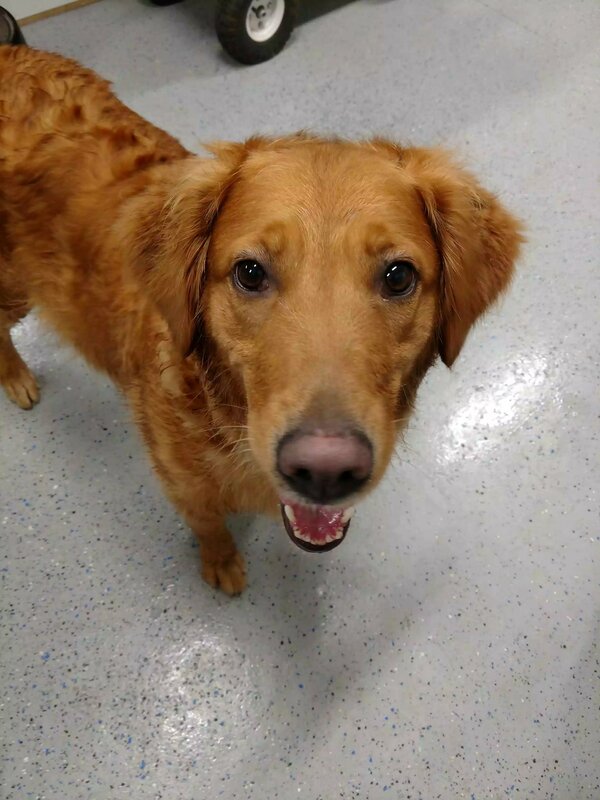 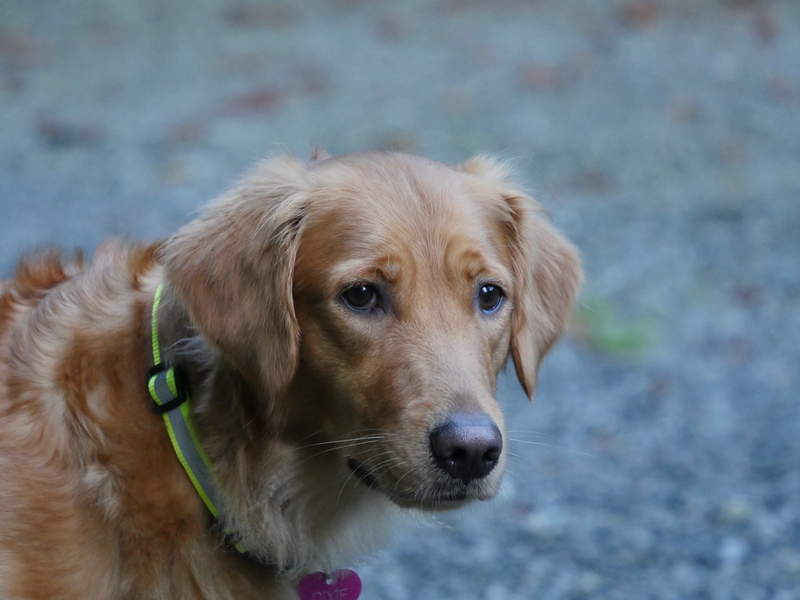 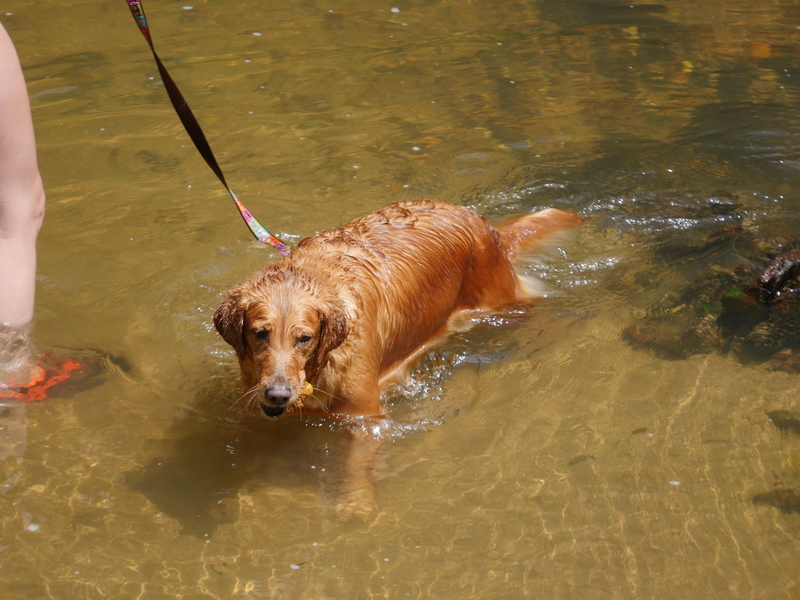 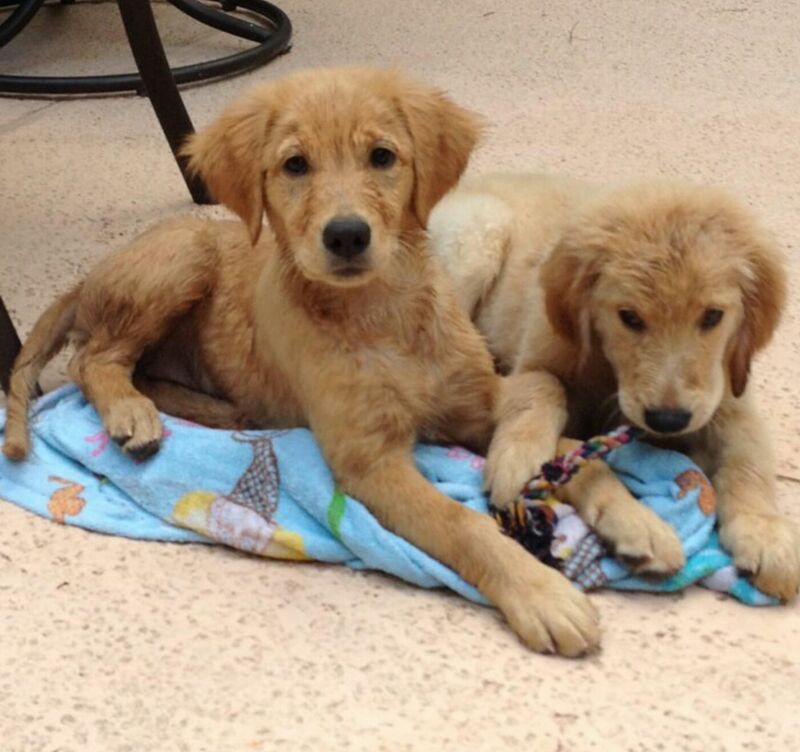 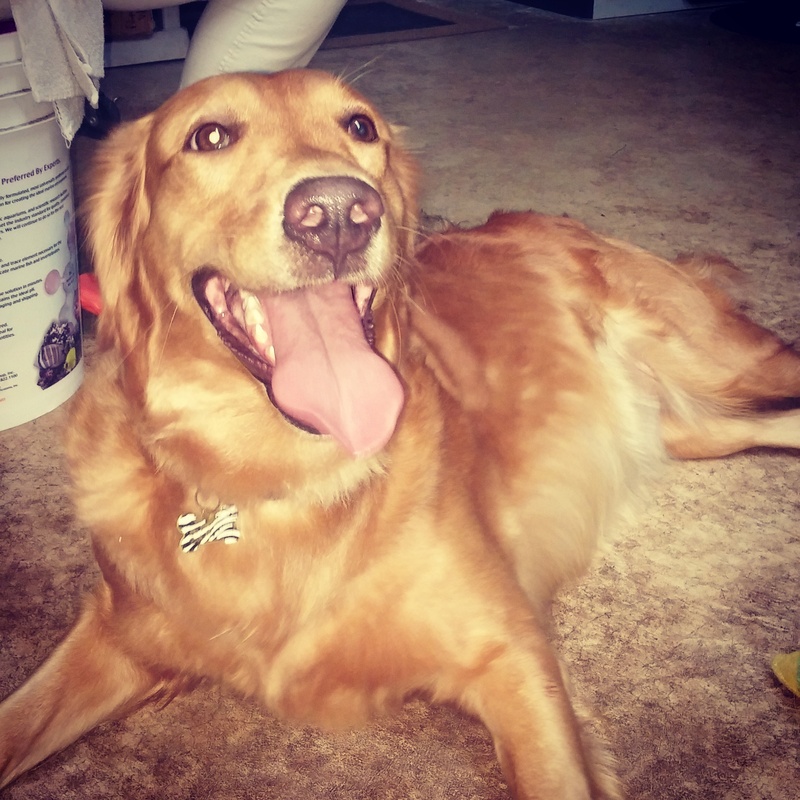 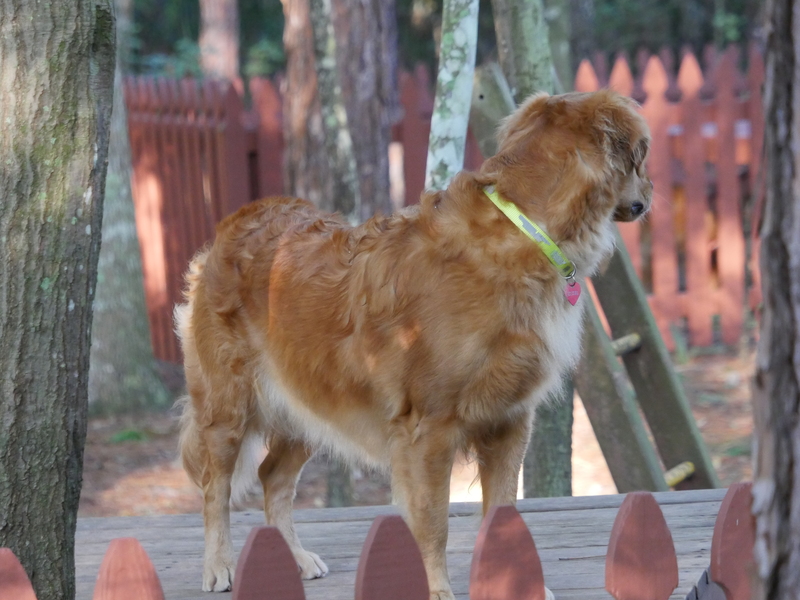 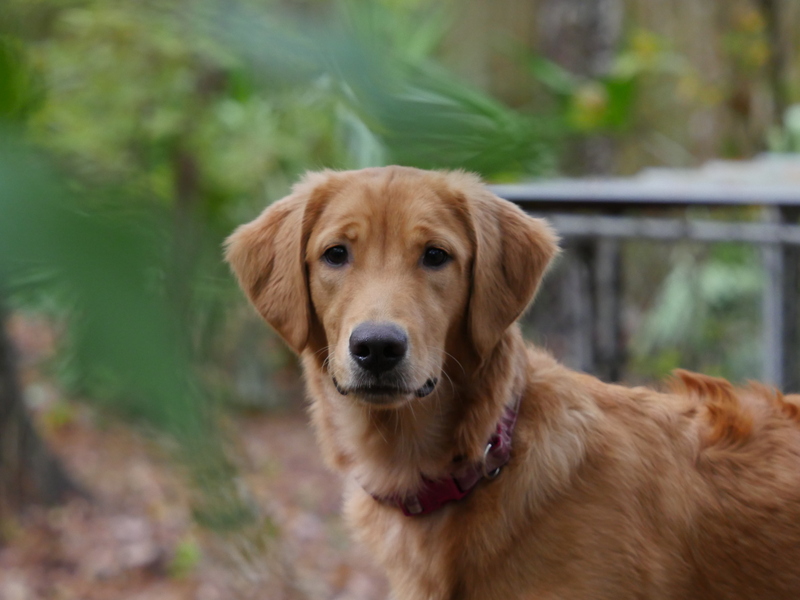 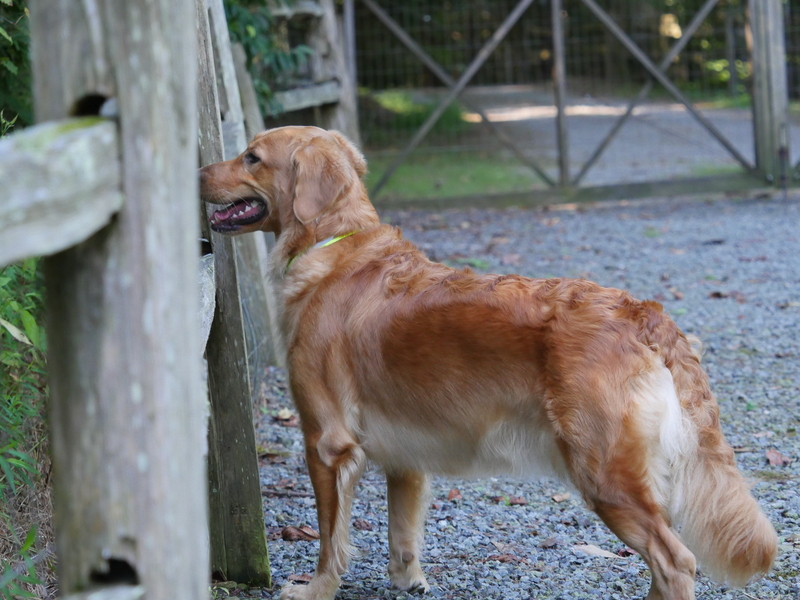 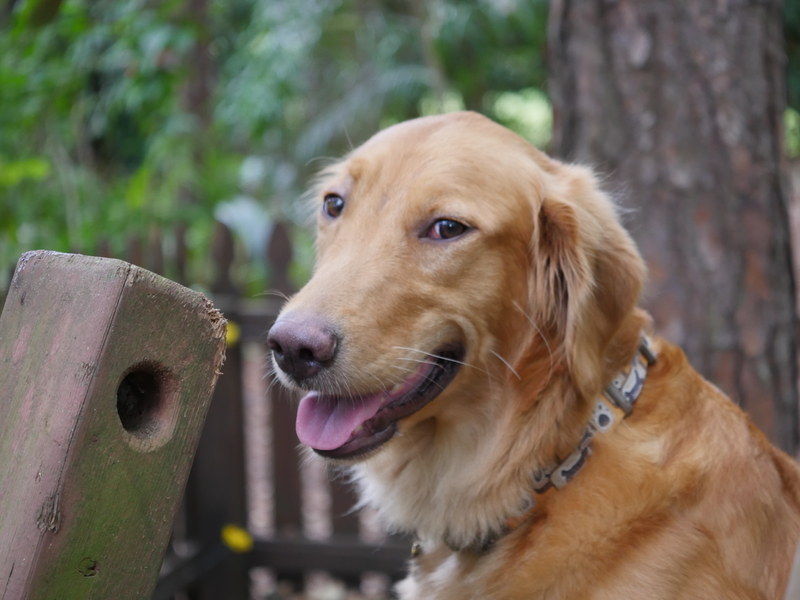 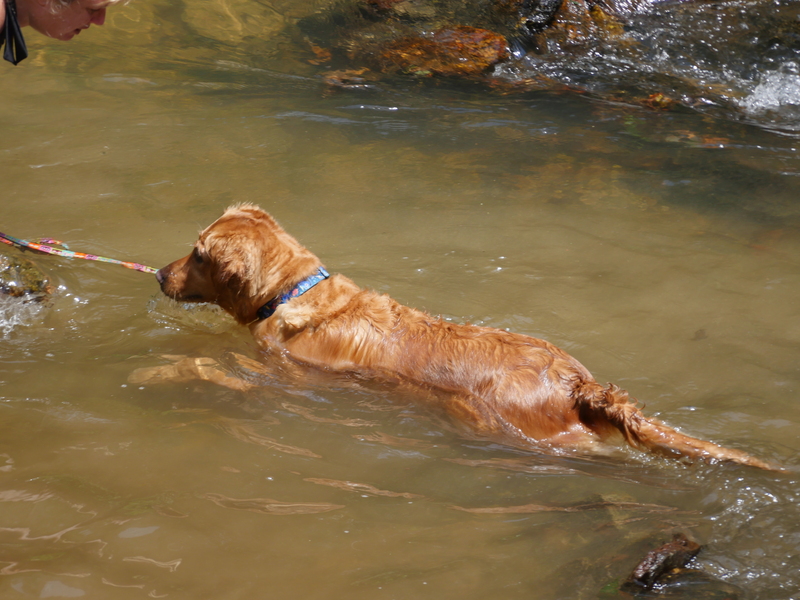 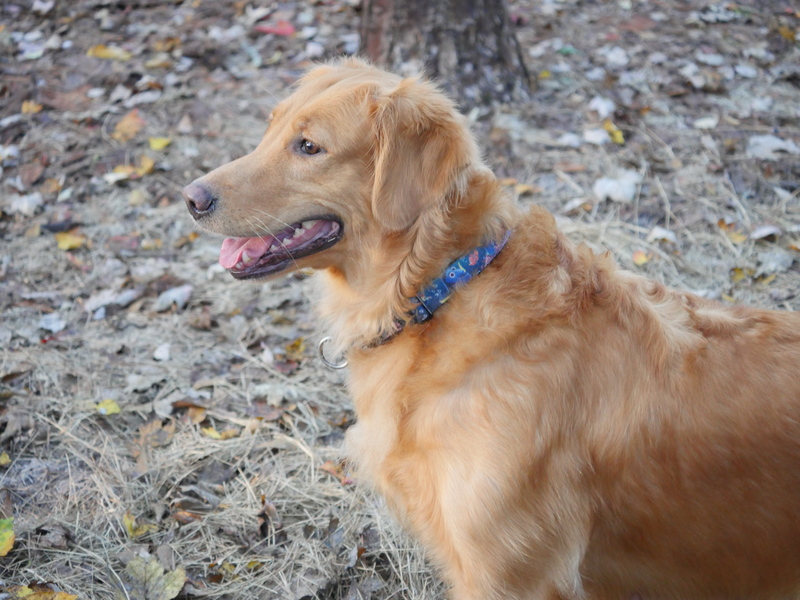 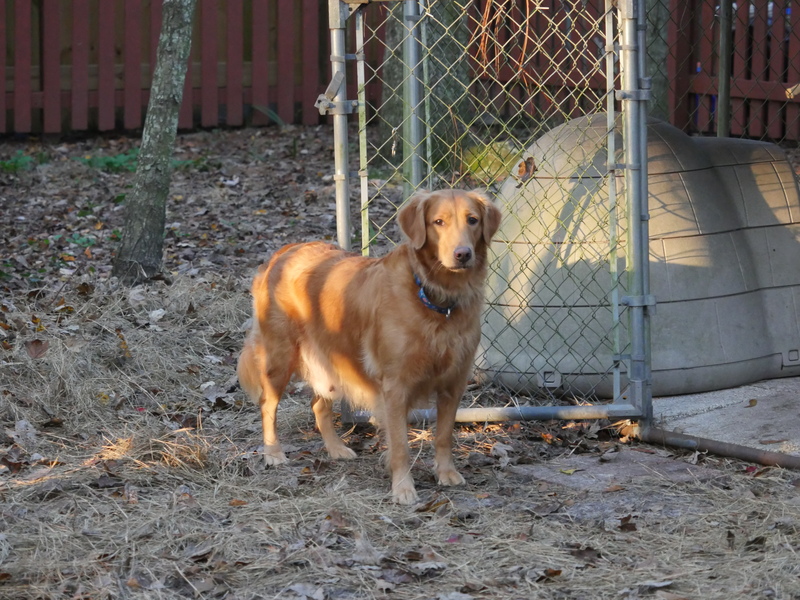 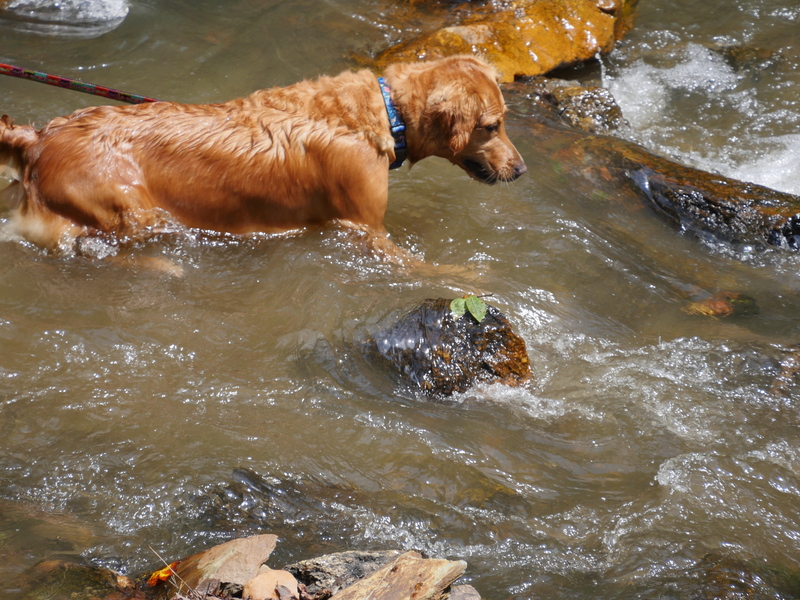 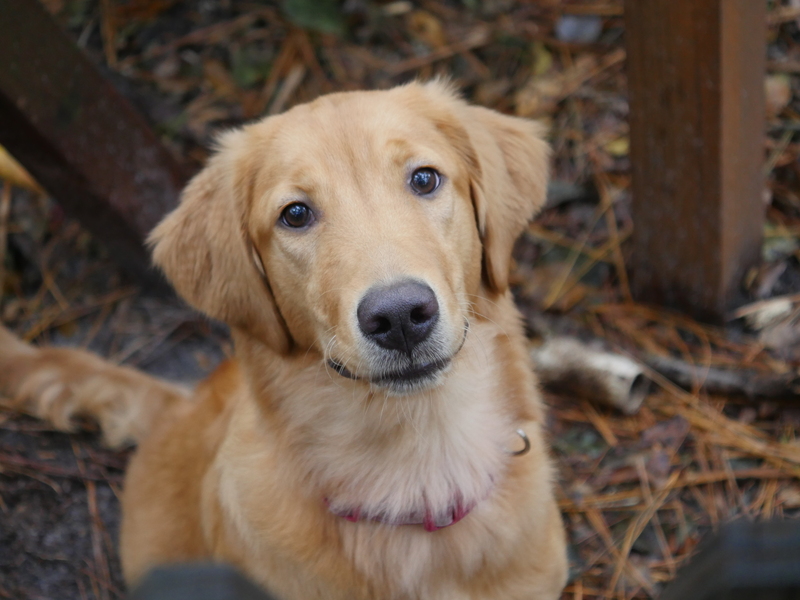 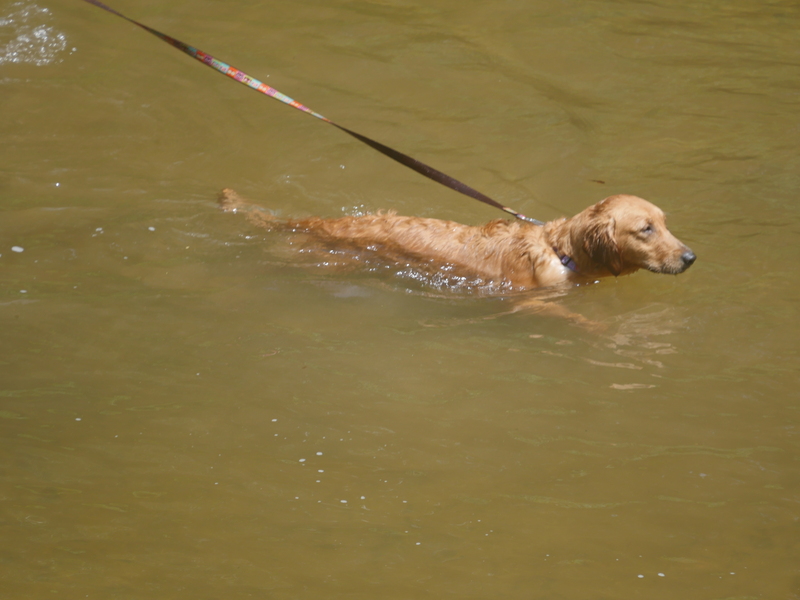 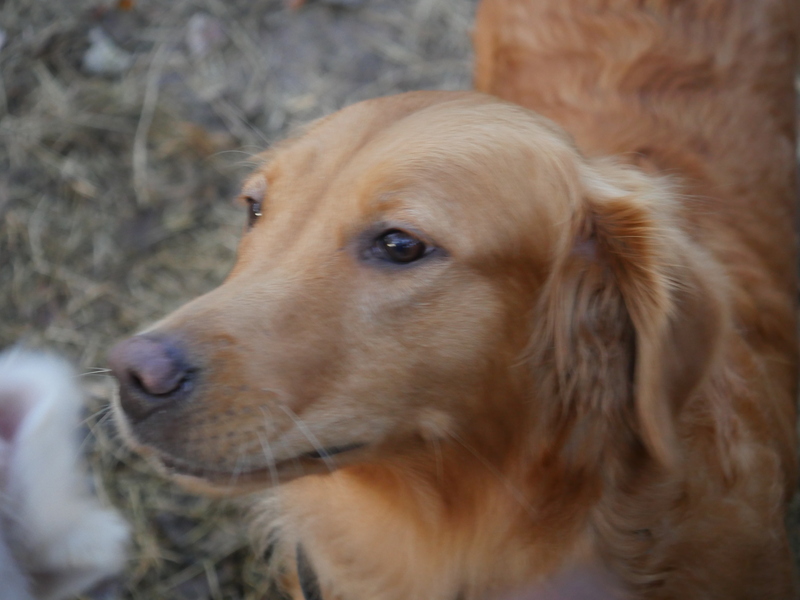 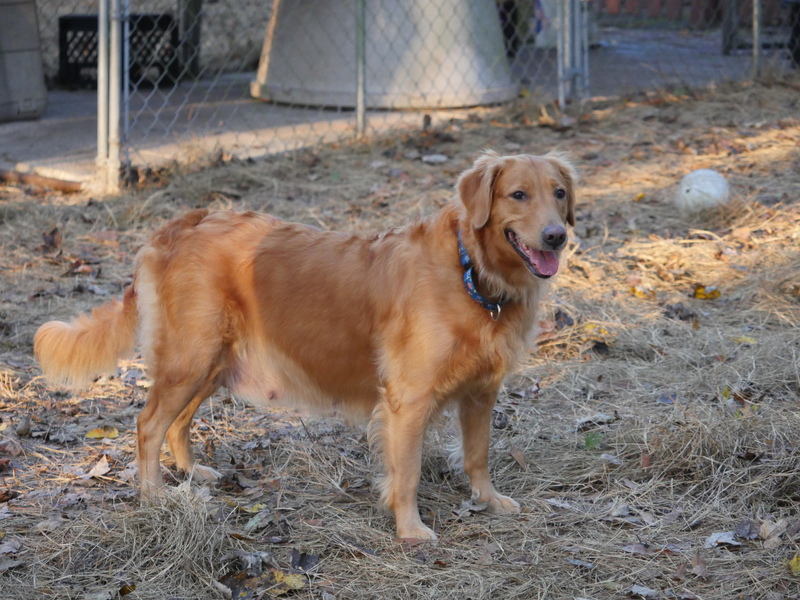 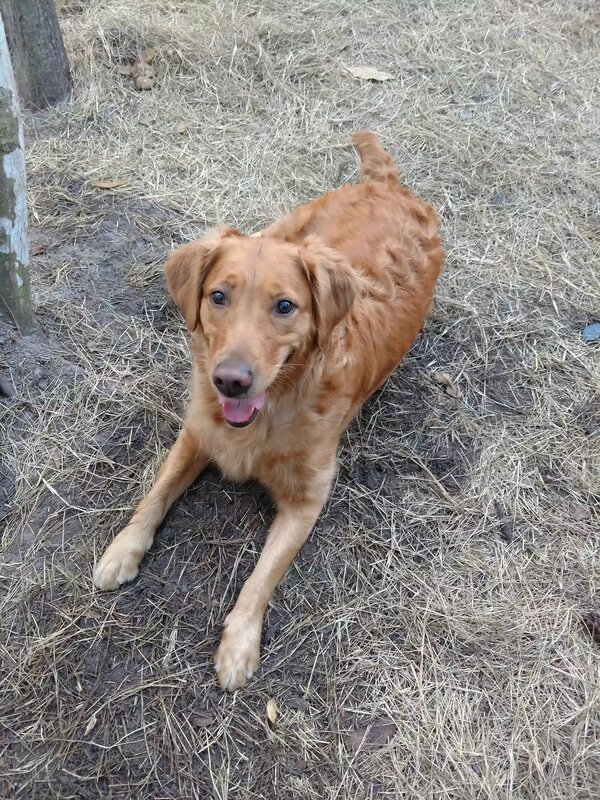 Dixie is our Medium/Dark Red Golden Retriever from South Carolina. 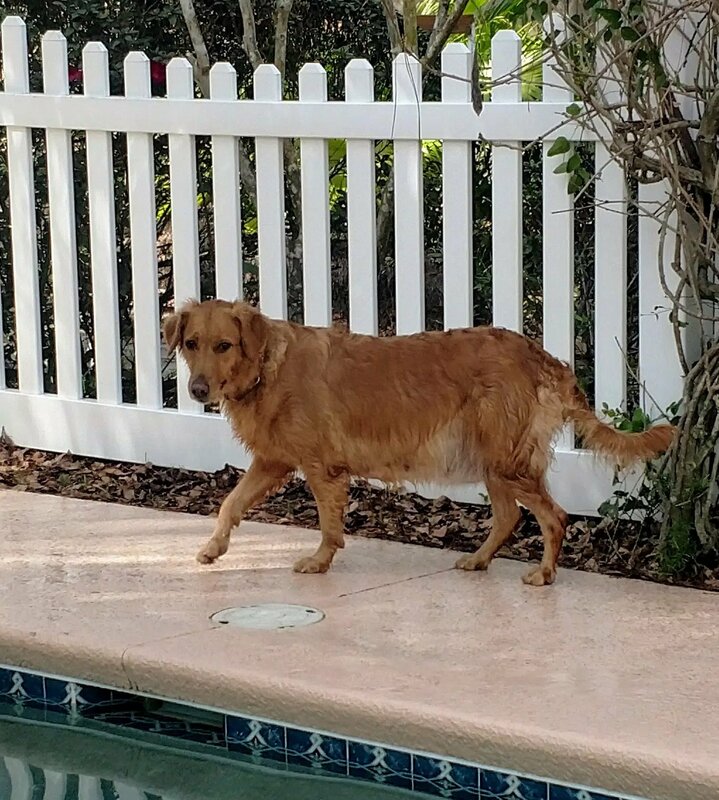 Her favorite activities include fetching, swimming in the pool, going on walks, belly rubs, kisses, and occasionally digging. 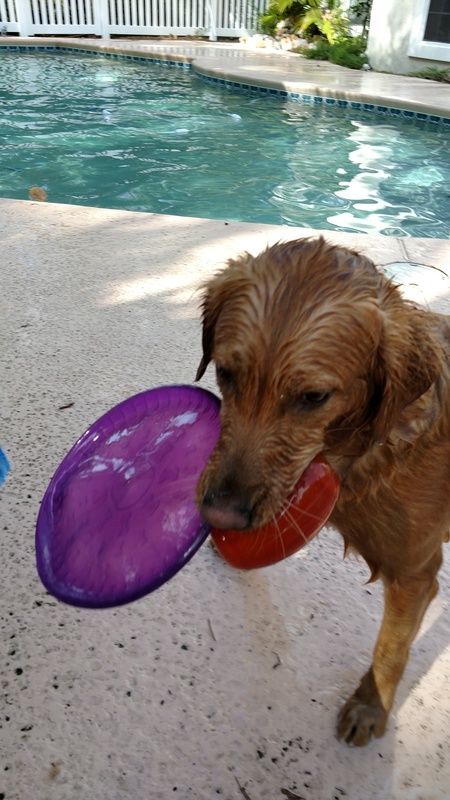 Her favorite toys include balls and frisbees. 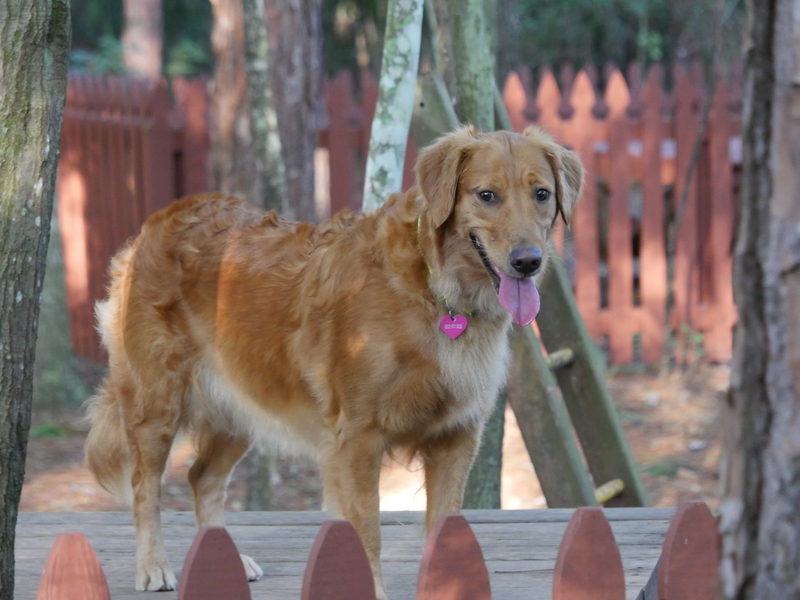 She has a very friendly, sweet, loving, sometimes stubborn, and playful demeanor. 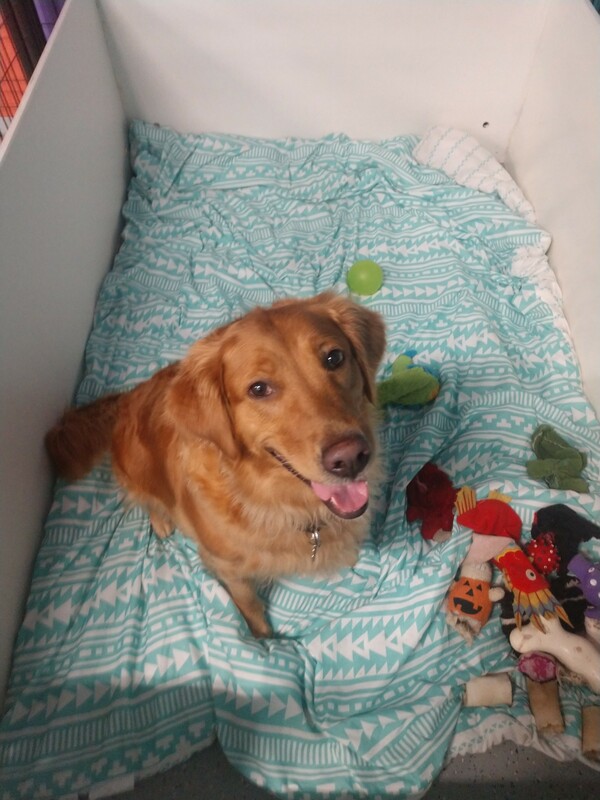 She is extremely smart and always wants to be on the go. 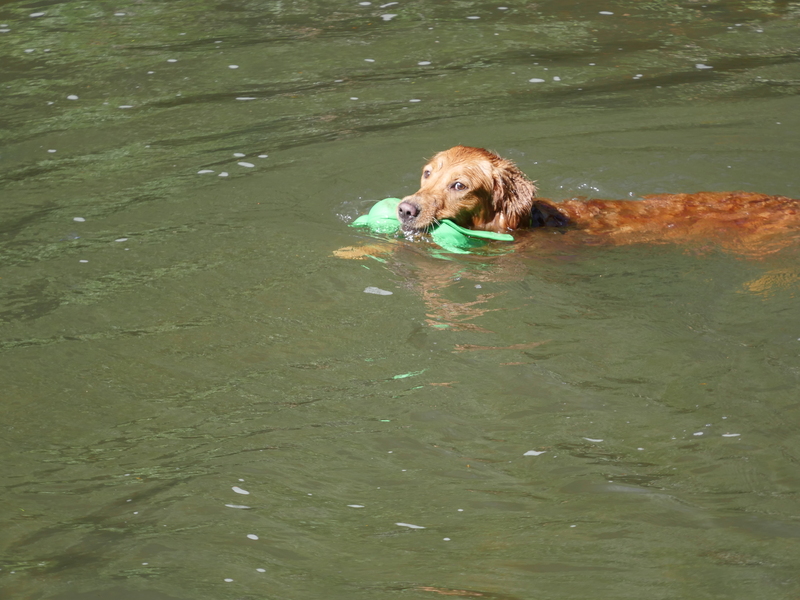 Even when pregnant, she still constantly swims and fetches in the pool. 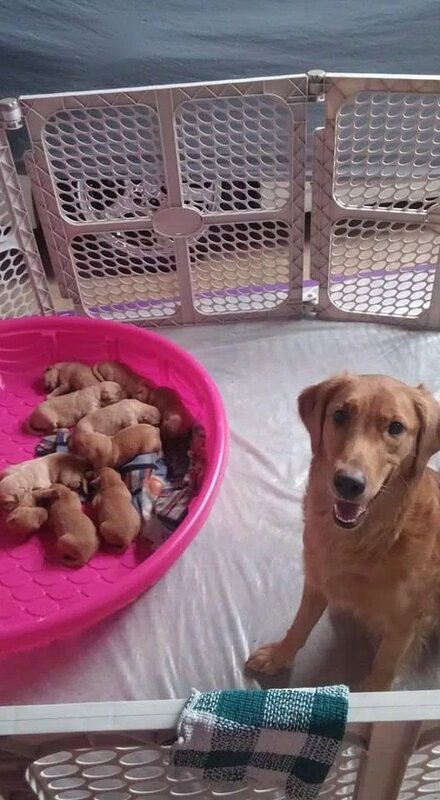 She is a very good momma dog and loves her babies! 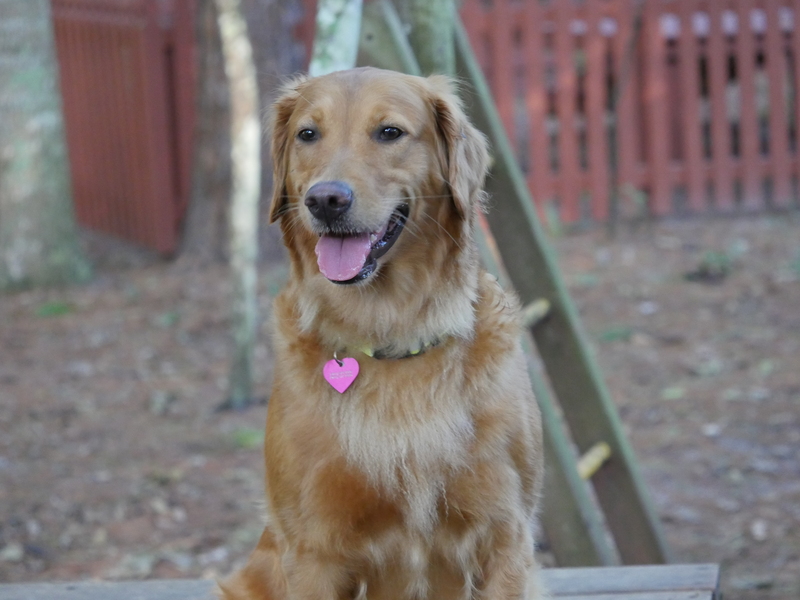 Dixie has completed all of her basic training and has even been trained to do a secret handshake with dad!